Remember your childhood days where you used to rush home just to catch the latest Ben 10 episode or Adventure Time. 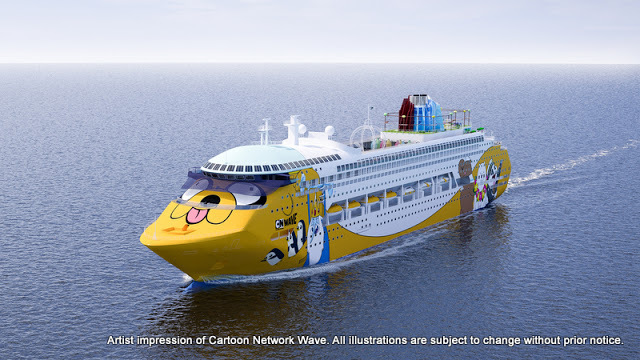 Well, now you get to relieve your childhood on the world's FIRST Cartoon Network-themed cruise. 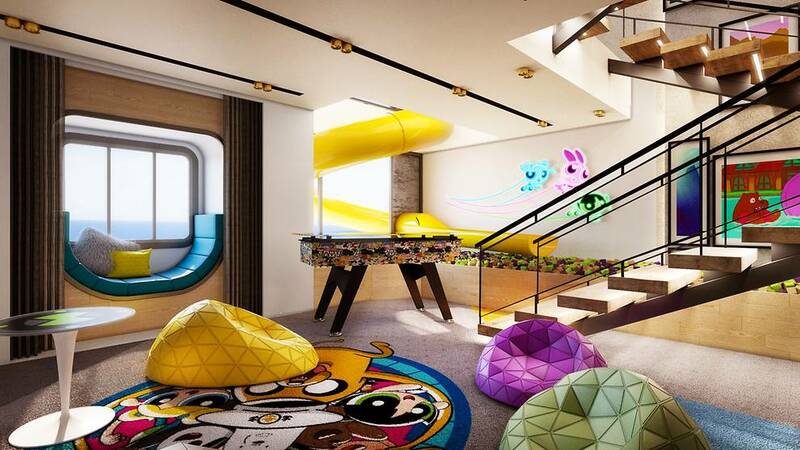 In the later parts of 2018, the Cartoon Network-themed cruise will set sail from Singapore together with characters like Ben 10, The Powerpuff Girls, Adventure Time and many more. 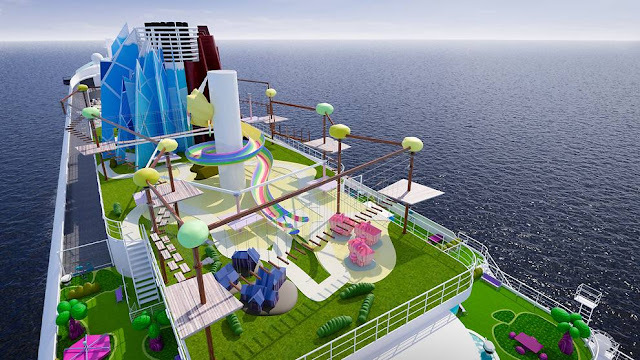 Thus far, the attractions on board features a Johnny Bravo-themed burger bar, Bravo's Place, a Toonix pool for fans of Looney Toons and a rope adventure park, for those wanting an Adventure Time. The following pictures are merely artist's impression. Here is also an artist impression of how the kids arena will look like on the Cartoon Network Wave's triple suite room. 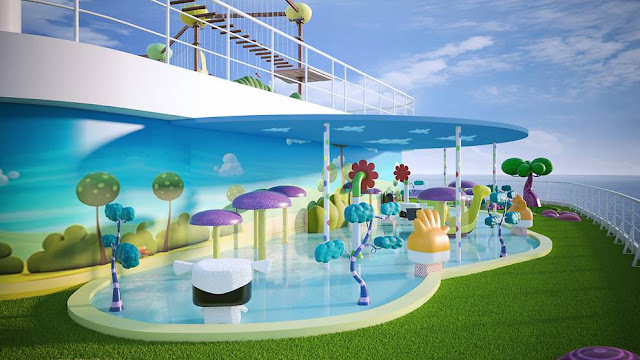 The cruise will sail to 13 destinations around the region of Malaysia, Thailand, Australia and Japan. 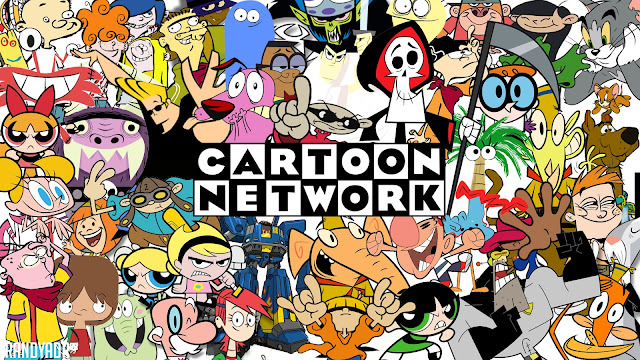 According to the Cartoon Network Wave Website, prices will start at SGD$200 a night while the dates and itineraries are yet to be announced.